For software download, see the [http://wiki.ardumower.de/index.php?title=Ardumower_PCB#Download_and_flash_Arduino_code Ardumower PCB/code page]. In the Arduino IDE, go into file 'config.h', and activate the pin configuration for the Ardumower Mini (enable '#define USE_MINI' and disable '#define USER_MOWER'). Now the code will use the Ardumower Mini pin configuration file ('mini.cpp'). 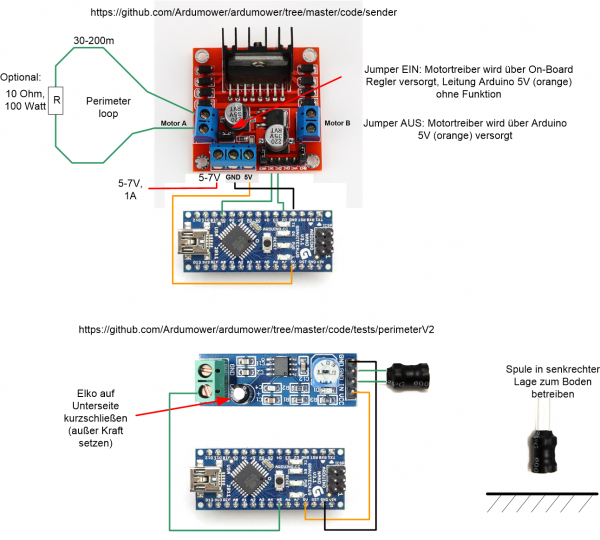 For software download, see the [http://wiki.ardumower.de/index.php?title=Ardumower_PCB#Download_and_flash_Arduino_code Ardumower PCB/code page]. Important: Use Release Version 1.0a4-Azurit. In the Arduino IDE, go into file 'config.h', and activate the pin configuration for the Ardumower Mini (enable '#define USE_MINI' and disable '#define USER_MOWER'). Now the code will use the Ardumower Mini pin configuration file ('mini.cpp'). 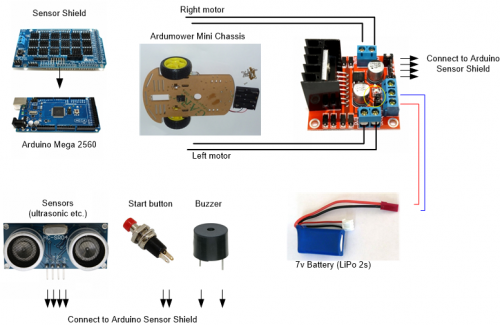 For software download, see the Ardumower PCB/code page. Important: Use Release Version 1.0a4-Azurit. In the Arduino IDE, go into file 'config.h', and activate the pin configuration for the Ardumower Mini (enable '#define USE_MINI' and disable '#define USER_MOWER'). Now the code will use the Ardumower Mini pin configuration file ('mini.cpp').